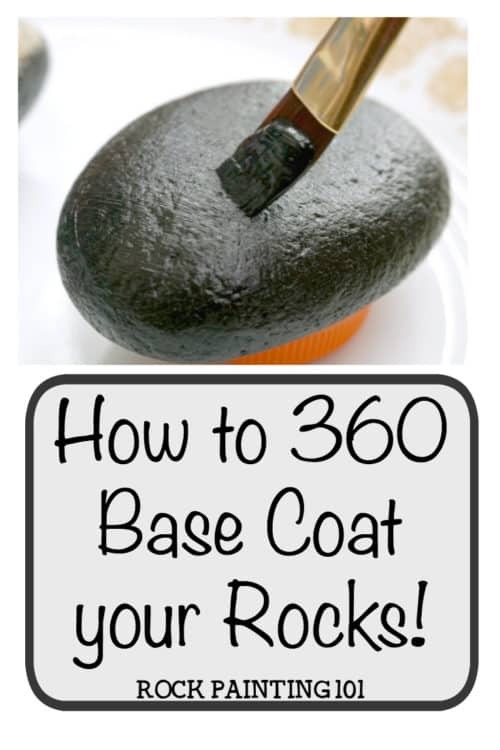 Learn how to paint a base coat on all sides of your rocks. 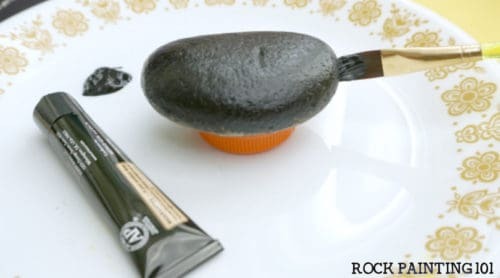 These quick instructions will give you a rock with a black, white, or colored base coat. 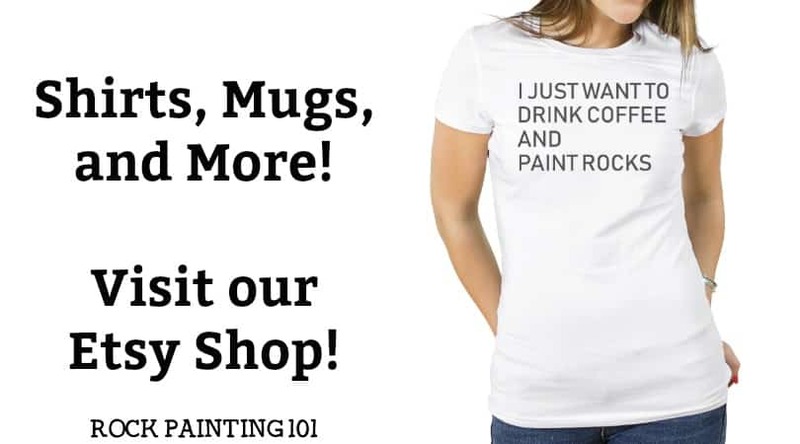 Perfect for creating your rock painting masterpieces! My favorite way to paint a base coat on rocks is always the pour paint method but sometimes you need 360 coverage. You might be making a gift, planning on selling your painted rock, or just want to do a 2 sided rock. 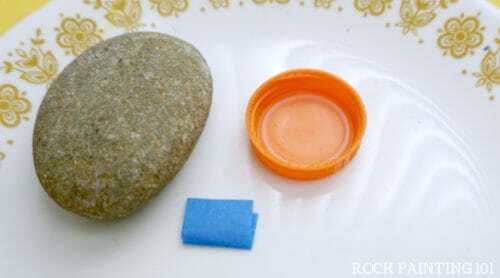 Whatever the reasons, here are some tips for creating an all over base coat for rock painting. 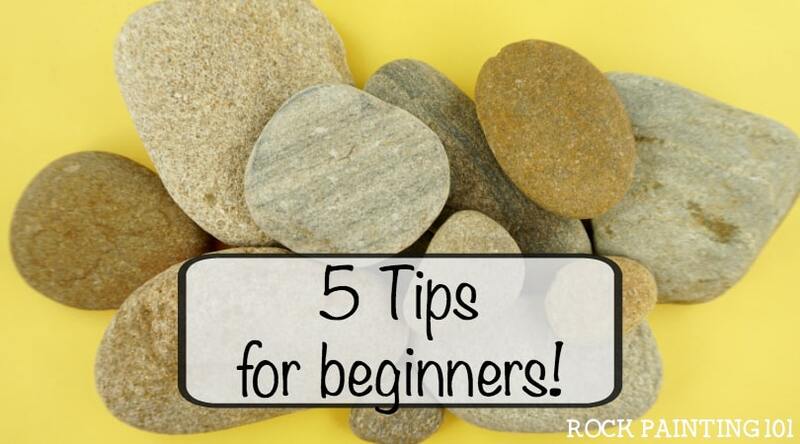 Before you get started, be sure your rocks are prepared for painting. 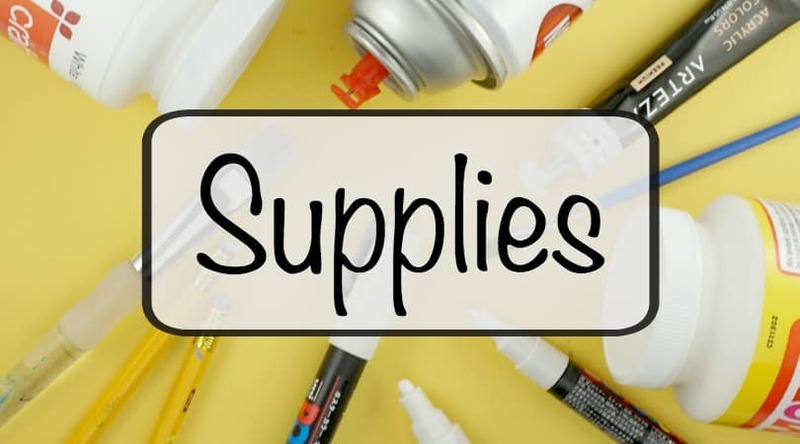 Yes, there is a step between buying and painting. 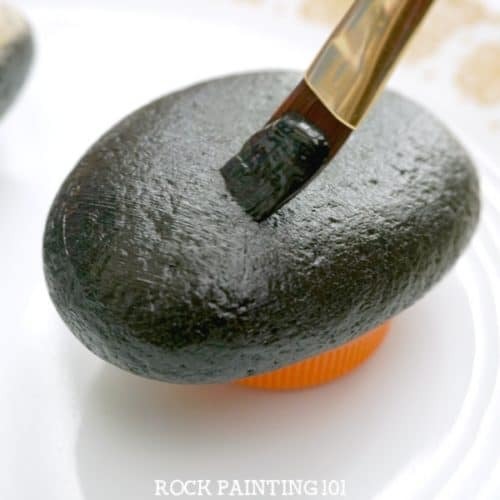 Give your rock a base that allows you to paint as much surface as possible. 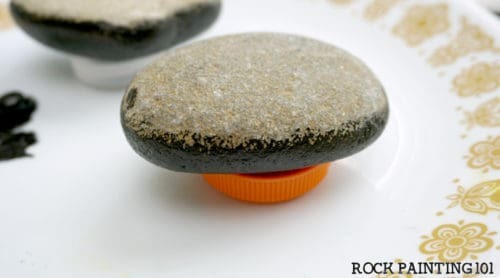 A Bottle cap is great for holding your rock up off your work surface. Use a bit of tape to keep the bottle cape in place while you paint. 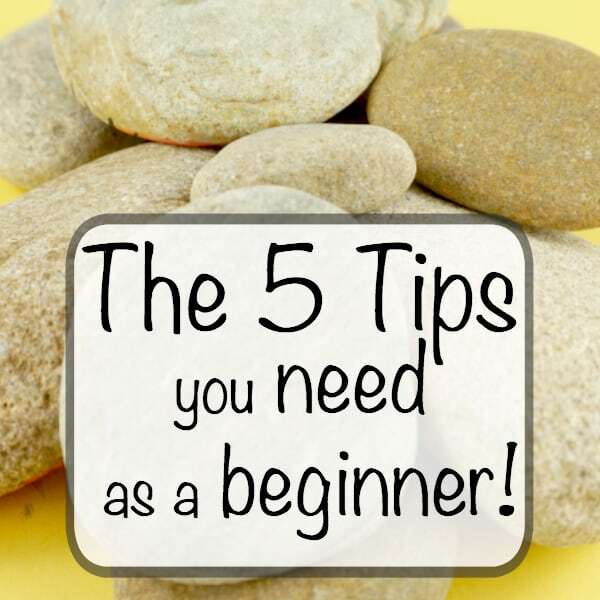 Start by covering one side of your rock and down the sides. Let this side dry then flip over and paint the other side. I always let my base coats dry overnight before I begin my rock painting design. This might not be necessary, but I like to give them plenty of time to dry. 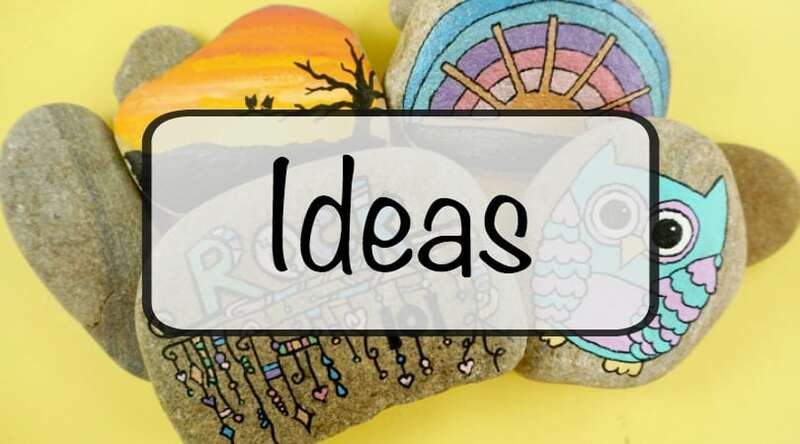 Pin this rock painting how-to to your favorite Pinterest board! If you enjoyed this fun rock tip, you’ll love these!